The CIO of leading retailer, Kathmandu, had 1 meeting for 1 hour that raised $500 for the Australian Himalayan Foundation that will change 3 girls lives. 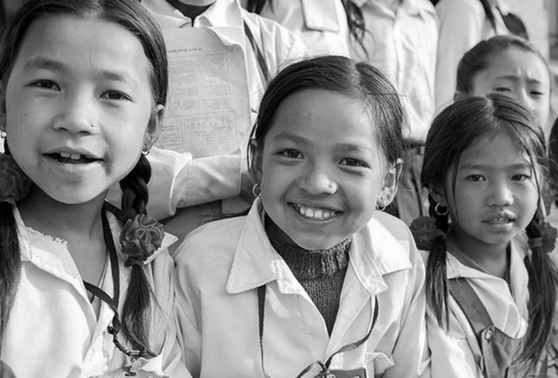 For children in the remote villages of Nepal, sometimes school seems out of reach. Expenses such as school uniforms, lunches and text books make school impossible for many of these families. To help shoulder the burden, the Australian Himalayan Foundation provides school scholarships for children as part of our Teacher Training & Quality Education (TTQE) program in the Lower Solukhumbu region. For around $200 per year, children are provided with textbooks, school supplies and stationery, school lunches, school uniforms, shoes and a school bag. Children who were previously falling between the cracks and out of school are now attending school. Last year, our scholarship program supported 500 students from disadvantaged families experiencing extreme poverty. Educational resources are also an important component of our Quality Education program and critical to its long-term success. For many of the schools in this remote region, books are a rare luxury and stationery often unheard of. The AHF is supporting these schools with a regular supply of the necessary basics including pens, paper, writing books and textbooks.